Welcome to Walt Geeksney World. Well, I’ve been back from our vacation in Disney World for about a week now and finally find my self the right mindset for another post. I was thinking about the trip and the aspects of Disney World that I really like and found that most of them have a bit of geekness to them. So without further a do, and in no particular order, I present to you my list of geeky Disney things. EPCOT – Probably my favorite park. Even though some of the stuff is a little outdated, it still feels a bit like you walked into the future. The most noticeable thing in Epcot happens to be my first geeky thing, Spaceship Earth (The big giant ball). The ride itself, is just like any other animatronic ride in the parks, with the exception of The Woz. Now I know, the garage Disney is referencing in the ride is Jobs‘, but the guy in the chair has to be Wozniak. The end of the ride, even though corny, is another thing I like. At the beginning of the ride your picture is taken and then at the end, while descending backwards down a steep incline, you are asked a few questions. After a few minutes, you and your riding companion are inserted into a cartoon that represents your answers about what you would like to see in the future. They even give you the chance, after exiting the ride, to email the video to whomever you want. One of the most technologically advanced attractions out there is Turtle Talk with Crush. Crush can be found in the Seas with Nemo and Friends pavilion. You and everyone else, sit down in front of a large aquarium (screen). Crush swims out and then starts interacting with the children sitting in the front. He calls on kids by what they are wearing, as if he can see them, and carries on conversations with the kids and parents. The Disney website says that the attraction is “voice-activated computer animation”, but that seems pretty vague to me. The voice is spot on from Crush in the movie, and it’s the same each time, so it’s not just simply someone watching the audience and speaking into a mic. There has to be some very complex stuff going on, but either way, pretty cool. Have you ever wanted get a call for a secret mission? A mission so secret that only you knew what was going on? Well Disney created an ultra-interactive scavenger hunt ala Kim Possible in and around the World Showcase in EPCOT. By signing up for the adventure you receive a “Kimmunicator” (some cheapo cell phone modded for the games purposes, on Verizon) that gives you mission assignments in the form of short cartoon clips. The device also works as a remote control that allows you to make things in the park move. For instance: start the flow of water over a falls, make a parrot talk, send trains down a track, as well as make some steins play music. Pretty fun. The different missions take you all over World Showcase and have you explore parts of the countries that you may not have been to before. Magic Kingdom – The happiest place on earth. No, really, it is. 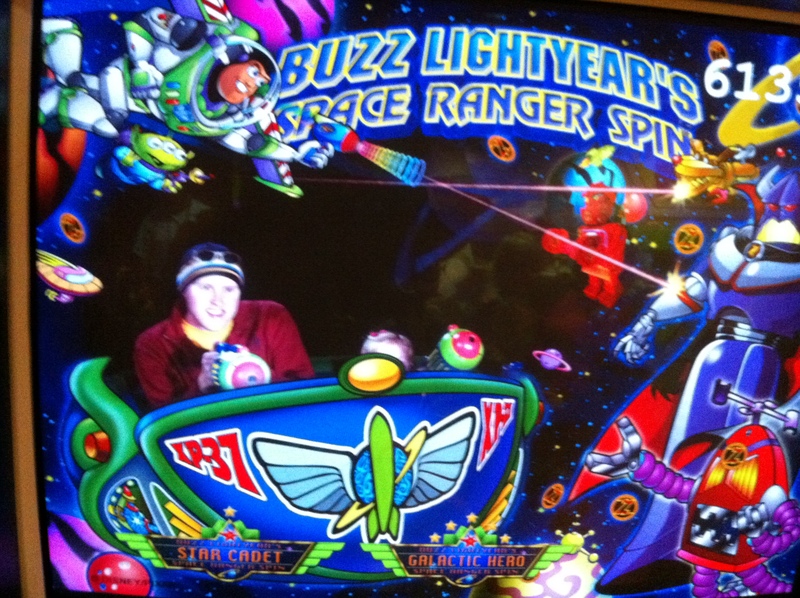 Buzz Lightyear’s Space Ranger Spin – Space, check. Aliens, check. Action figures, check. Laser guns, check. A final score to determine who rocks at the game more, check. How could this be any less geeky? I propose not. This is the best ride at Magic Kingdom hands down. The only question is how many fast passes can you get for it in one day? This one is more of an entire Disney World one, but I’m thinking about it now so just go with it. At most of the table services restaurants in the parks you will see cast members walking around with some tablet like computers. They check reservations, change people’s seating assignments, and even make sure that the characters are getting to all of the tables. I really wanted to get my hands on one of them and found my self, several times, almost asking a cast members to see it. If you have any knowledge on these devices, please share. Here’s an observation I made that apparently not many other people had, as I saw a lot of confused looks. Around dusk in Fantasy Land everything gets wet. So much so that people start looking up to see if it’s raining and wonder why they feel water coming off the buildings. Well, there are sprinklers on the tops of the buildings that they flip on to pre wet the area before the fireworks. Seems they don’t want any hot ash burning up the place. Anyway, I found this interesting. Hollywood Studios – Take my advice. If you only have preschoolers with you, just skip this park. Fun for older kids and adults, but not much for the little ones to do. Toy Story Mania – Ummm…. It’s a 3D video game, enough said. Make sure you are there for the rope drop or otherwise you might not be able to get a fast pass for the ride, let alone have to wait in a ridiculously long line for a game that I have for my Wii. Studio Backlot Tour – Ok, I know what you’re thinking, “Really Matt, it’s not that great. Pretty boring if you ask me.” Well, you’re right. The thing I like about it is the prop house you walk through before getting on the ride. Lots of cool things in there. It would be nice if you could spend more time checking out all the stuff, but they shuffle you through pretty quick. Star Tours – It’s Star Wars. Next….. PS. Disney is overhauling the ride to make it actually good. And last but not least, Rock ‘n’ Roller Coaster. This is more of a you need to be at the right place at the right time type of thing. We got stuck on the ride a few years back. The music stopped and a voice came over the speakers telling us to stay in the car and that someone would be coming to get us. The lights came on in the warehouse and we could see everything. It was pretty cool to get a little behind the scenes glimpse of the ride was we were escorted out. It also didn’t hurt that we got exit passes to come back. 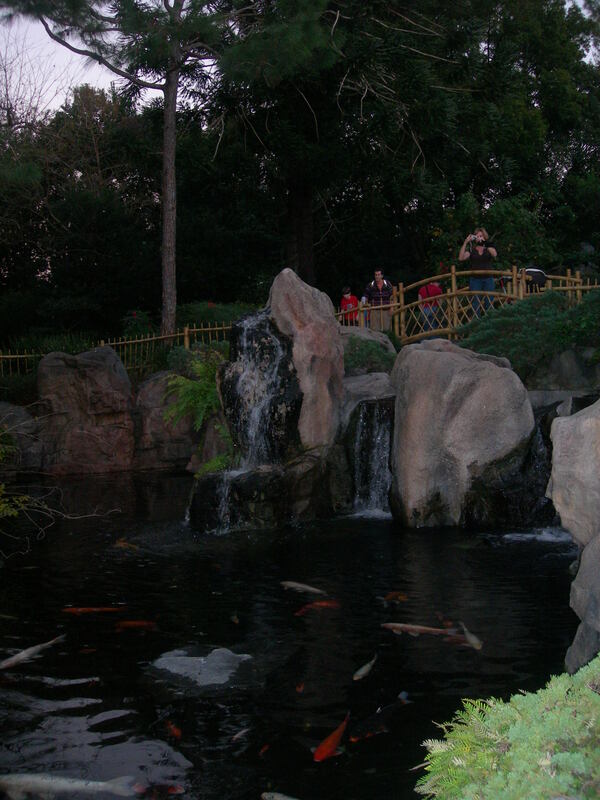 Animal Kingdom – No picture, because I couldn’t really think of anything geeky to talk about for the park. Well that’s it. I know I’ll probably think of a few more things later on that I could have put on the list, but really, do you even care? If you have any experiences or things you like about Disney World from the geek side of things leave a comment.